Lindsay Boxer is pregnant at last! But her work doesn't slow for a second. When millionaire Chaz Smith is mercilessly gunned down, she discovers that the murder weapon is linked to the deaths of four of San Francisco's most untouchable criminals. And it was taken from her own department's evidence locker. Anyone could be the killer--even her closest friends. I just finished Paris Wife about Hemingway's first wife. Good book. My all-time favorite book is Johnny Got His Gun. 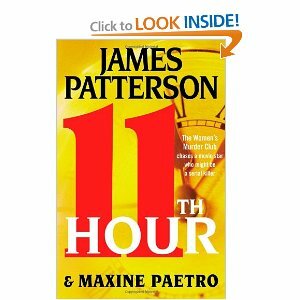 I haven't yet read this one by Patterson. I am a huger Stephen King fan, but from James Patterson my favorite is Along came the spider.